The Massachusetts based alt-folk quartet Darlingside released two previous albums to moderate acclaim, but apparently feel this is the first to truly capture their sound. While that may be true, it tends to ignore the band’s terrific 2012 Pilot Machines that included the peppy “Blow the House Down” and crafted a cool approach that sounded like acoustic U2 with four part harmony singing. This one features the song “Go Back,” which can be an indication of the band retrenching even further into their 60s psychedelic roots. There are traces of Pink Floyd at their most bucolic and a Byrds/Eagles/CSN&Y/Everly Brothers type of harmony vocals, especially in the serene and dreamy vibe that floats through the majority of Birds Say’s 13 tunes. If Simon & Garfunkel continued the sweet folk style they patented on Parsley, Sage, Rosemary and Thyme in songs like “The Dangling Conversation,” they might have sounded like Darlingside. There are bursts of chamber pop, bluegrass and pure folk in these lovingly crafted tunes. But it’s how these influences intertwine that make the songs drip so sweetly out of the speakers without the least sense of predictability or pretentiousness. The group tackles some larger philosophical issues in songs such as “The God of Loss” and “Do You Ever Live?” but the overall dreaminess and exquisitely floating vocals make the concepts and words seem like vessels to carry the gorgeous sound forward. Songs such as “Harrison Ford” are filled with unusual juxtaposed images that take you down a very different path than the titles imply. There is also a ghostly, atmospheric aura to songs such as the mellifluous “She’s All Around” that, along with lush yet subtle orchestration, make them sound like leftovers from the Moody Blues’ early albums. It’s only when you pay attention that you realize there is little to no percussion or bass involved. Despite the beauty of the performances, this never devolves into overly slick, background music due to melodies that weave and swerve into a slightly psychedelic swirl that’s both hypnotic and irresistible. This is fresh, vital and organic acoustic music that’s pure and mysterious. 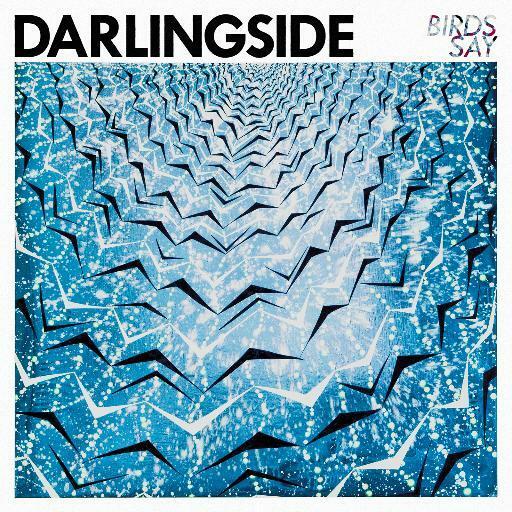 The blended vocals are naturally untainted as Darlingside balances retro and contemporary with discreet aplomb.